The alluring AT&T Samsung Galaxy S III 65250 Cell Phone boasts an Android 4.0 operating system that lets you run multiple tasks simultaneously. You can also view your contents like e-books, games, videos on its large 4.8-inch Super AMOLED Touchscreen. With its 16GB of internal memory, hundreds of your files are accommodated. Plus, through its 8MP camera, you can capture images in a flash! 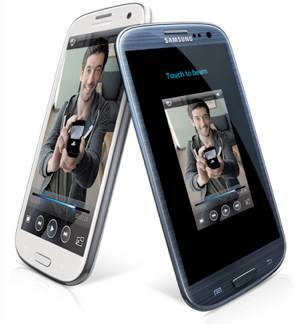 The AT&T Samsung Galaxy S III 65250 Cell Phone also allows you to connect to the Internet wirelessly. 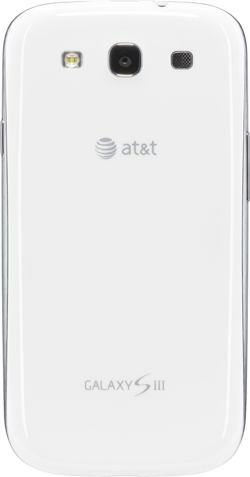 Optimized for peak performance, the Android-powered Samsung Galaxy S III from AT&T offers one of the most sophisticated interactive mobile experiences to date. You’ll be able to send photos, videos, and information easier and faster than ever while staying in close connection to friends and family members from wherever you are. Intuitive, stylish, and simple to use (view larger). 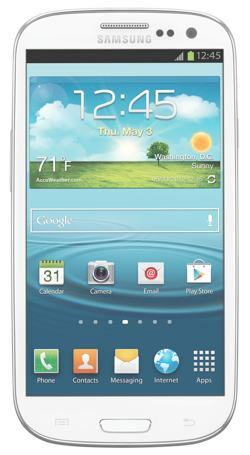 Running on AT&T’s ultra-fast 4G LTE network, the Galaxy S III also offers Wireless-N Wi-Fi connectivity. And with AT&T’s Mobile Hotspot service, you can connect additional Wi-Fi-enabled devices to the phone’s mobile broadband signal (requires appropriate data plan). Other features include Wireless-N Wi-Fi connectivity with mobile hotspot capabilities (enabling you to connect up to 10 devices to your AT&T 3G/4G mobile broadband), Bluetooth 4.0 with stereo audio streaming, 16 GB internal storage, memory expansion via optional microSD cards, and up to 9.2 hours of talk time. Seamlessly share videos, calendar, apps, and more. The Samsung Galaxy S III weighs 4.7 ounces and measures 5.4 x 2.8 x 0.3 inches. Its 2100 mAh lithium-ion battery is rated at up to 9.2 hours of talk time. It runs on AT&T’s 4G LTE and HSPA+ networks (850/1900 MHz; HSPA+/HSDPA/UMTS) plus international 2100 MHz 3G networks. It’s also a quad-band GSM phone (850/900/1800/1900 MHz GPRS/EDGE). AT&T’s 4G LTE network allows for quicker access, smoother media streaming, and faster web experiences. LTE technology is capable of delivering mobile broadband speeds up to 10 times faster than 3G. Additionally, LTE technology offers a faster response time due to lower latency–the processing time it takes to move data through a network–vastly speeding download times for web pages as well as improving services such as mobile gaming and two-way video calling. By the end of 2011, AT&T plans to launch its 4G LTE network in 15 major metropolitan areas, covering at least 70 million Americans. Coverage will continue to expand in the next few years and is planned to be largely complete by the end of 2013. And when combined with 4G HSPA+ technology, AT&T is capable of delivering a quicker, more consistent mobile broadband experience than ever before. AT&T has deployed HSPA+ to virtually 100 percent of its mobile broadband network, which enables 4G speeds when combined with enhanced backhaul (via Ethernet or fiber). Backhaul is one of the major pieces of a telecommunications network. Think of it as the limbs connecting AT&T’s cell towers with AT&T’s backbone network that provides access to the Internet. Paired with enhanced backhaul–the accelerated pipeline between our network backbone and cell towers across the country–this technology boosts network performance. Wireless-N Wi-Fi networking (802.11b/g) for accessing home and corporate networks as well as hotspots while on the go. Built-in mobile hotspot functionality allows multiple Wi-Fi enabled devices to share the 3G or 4G experience on the go with a laptop, camera, music player, game unit, video player, or any other Wi-Fi enabled device. Next-generation Bluetooth 4.0 backward compatible with older Bluetooth-enabled peripherals and includes stereo audio streaming. Near Field Communication (NFC) for sharing contacts, web pages, directions, and more to compatible phones as well as payments via Google Wallet. GPS for navigation and location services Integrated Google Maps with turn-by-turn navigation, street and satellite views. 8-megapixel camera with continuous auto focus, zero shutter lag, face detection, high dynamic range mode, burst mode, and more. Full HD 1080p video capture (30 fps) Front-facing 2.0-megapixel camera for HD video chats and self portraits.